If you are ready to begin your wealth journey and to enhance your understanding of the most important principles that drive the creation of wealth, then this series will be a great tool for you to use on your journey. [minti_pullquote align="right"]“Most of the fundamental ideas of science are essentially simple and may, as a rule, be expressed in a language comprehensible to everyone.” - Albert Einstein[/minti_pullquote]Each insight will take only a minute or two of your time to explore one essential concept about investing, with an emphasis on ensuring that evidence, not emotion, guides the way. 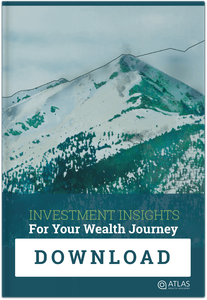 Before you know it, we’ll have introduced you to a dozen or so solid principles, based on more than a half-century of peer-reviewed inquiry into how capital markets efficiently and effectively deliver long-term wealth to investors. Don’t worry, unless you specifically ask us about it, we’ll skip the Greek calculations and multi-factor modeling. Instead, we’ll translate each insight into its meaningful essence: the “What’s in it for me?” you need to know, so you can apply the science of investing into your own financial map and plan. You see, being a better investor doesn’t mean you have to have an advanced degree in financial economics, or that you have to be smarter, faster or luckier than the rest of the market. Are you ready to remove the haze of confusion that so often surrounds investing? Then walk with us through Your Wealth Journey Investment Insights.